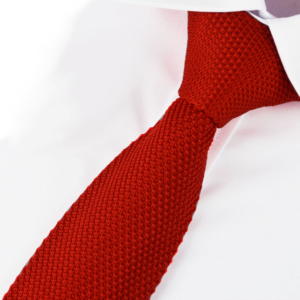 This is only for brave. 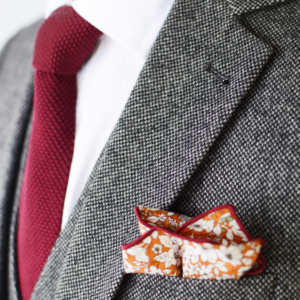 Do you have the inner style to pull it off?. 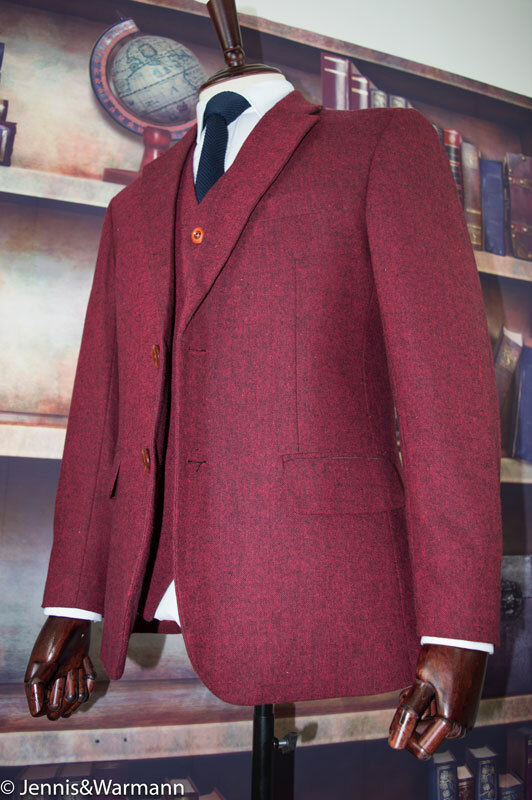 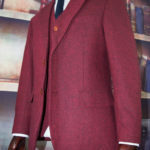 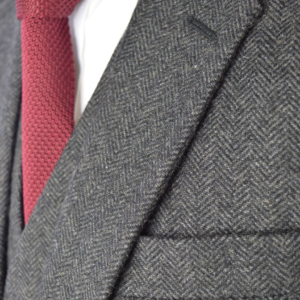 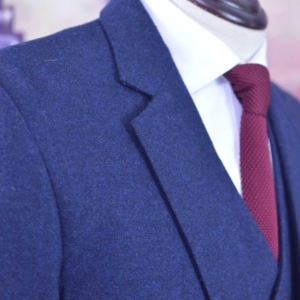 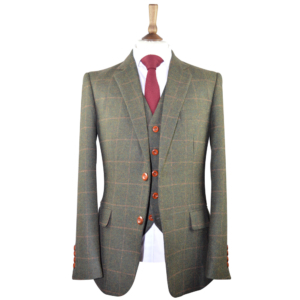 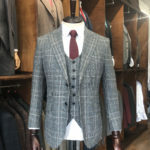 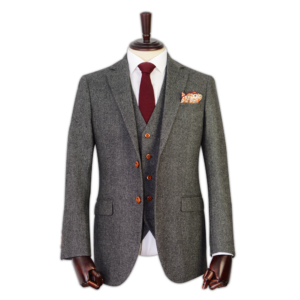 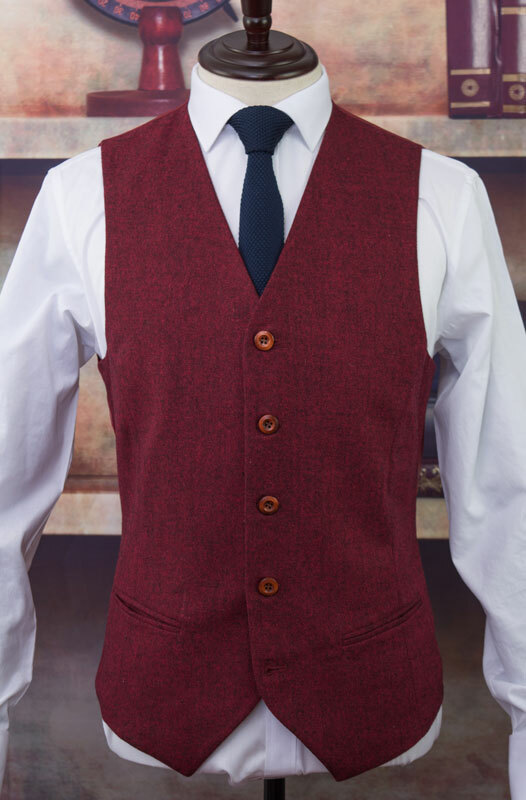 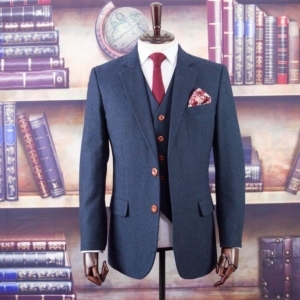 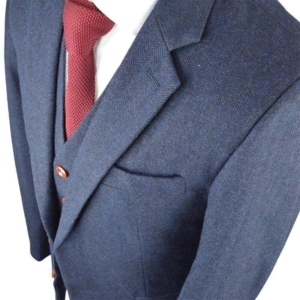 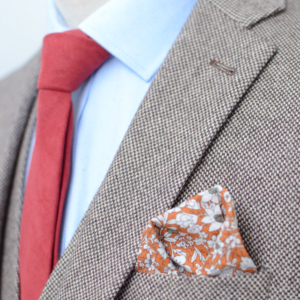 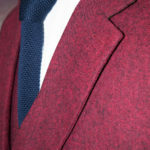 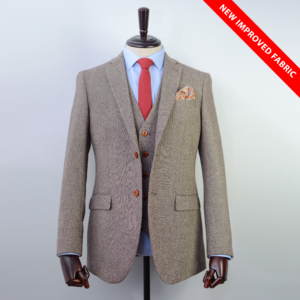 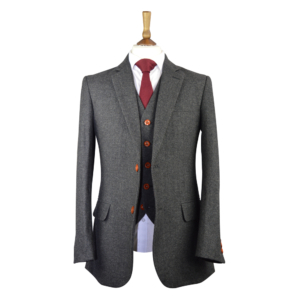 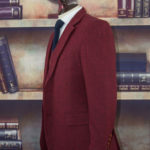 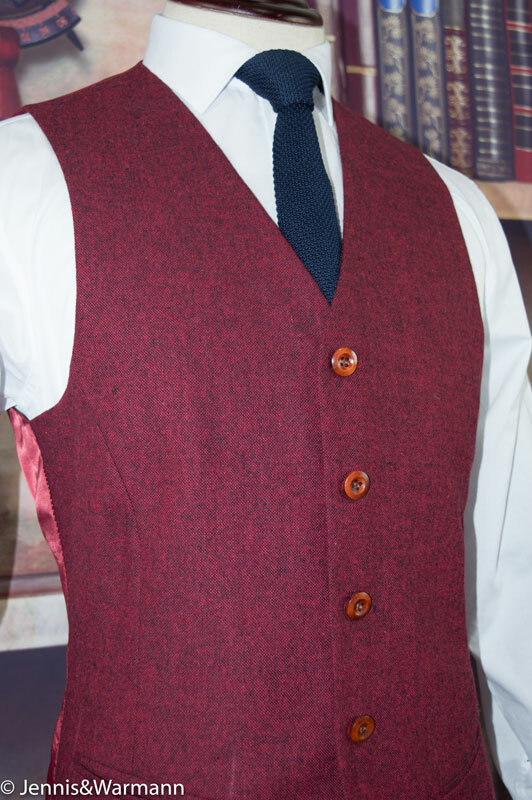 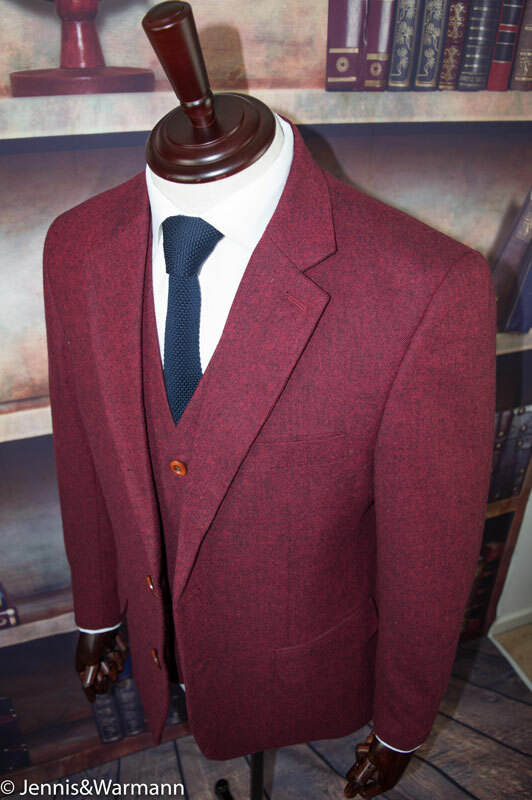 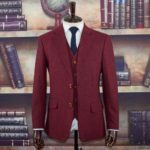 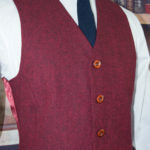 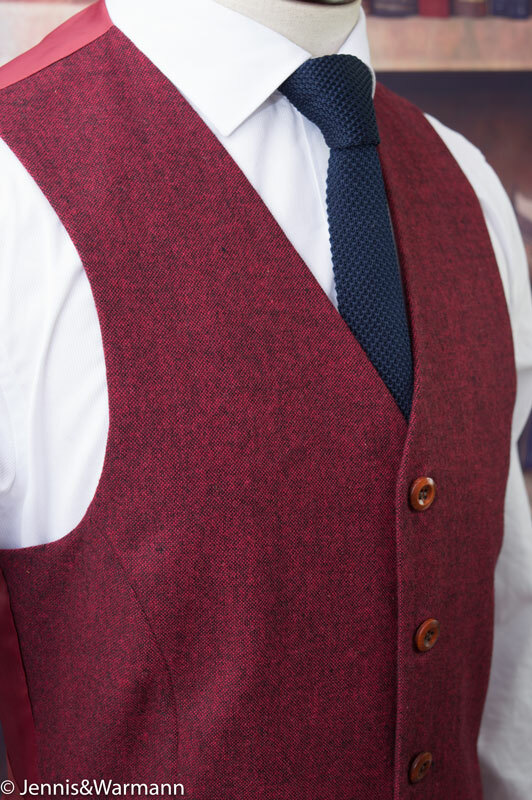 The Beijing Red Barleycorn Tweed Suit is a J&W exclusive. 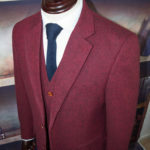 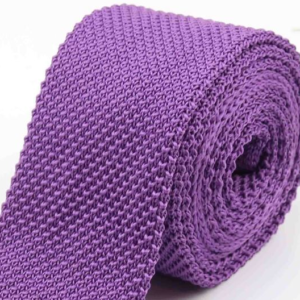 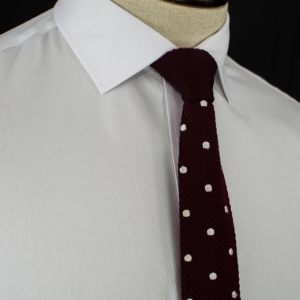 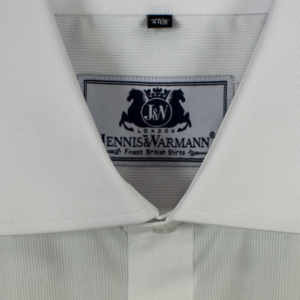 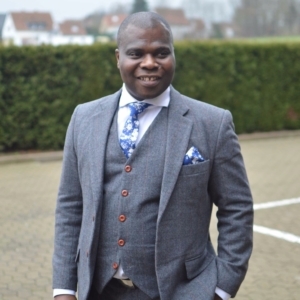 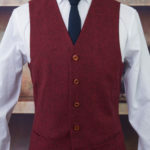 This luxury fabric is what every stylish traditional gentleman should have in their wardrobe for that special occasion. 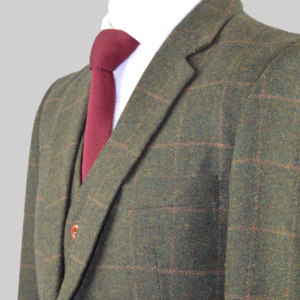 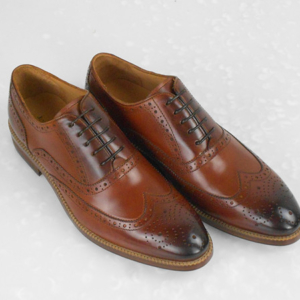 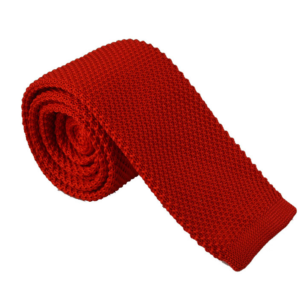 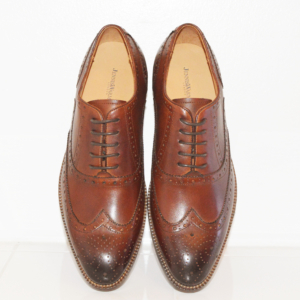 Weaved in a traditional barleycorn pattern, this is classy in every way you look at it. 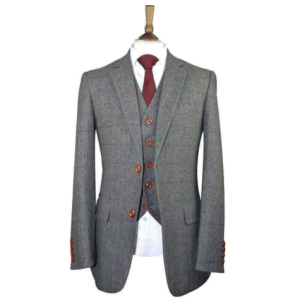 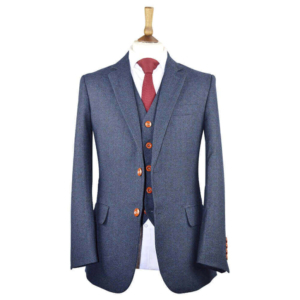 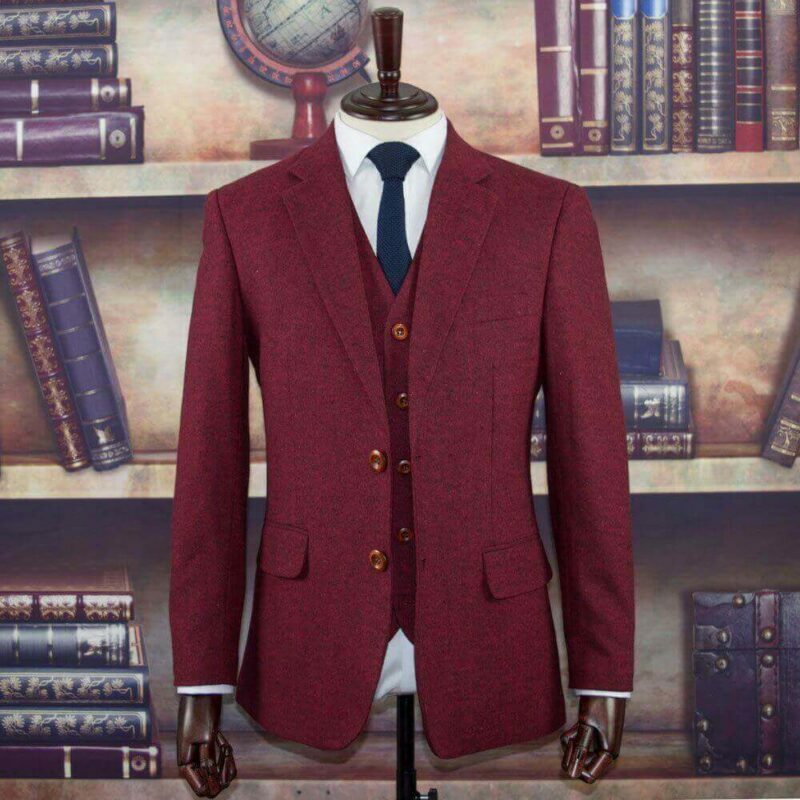 Great as a blazer with jeans or chinos for a guys’ night out. 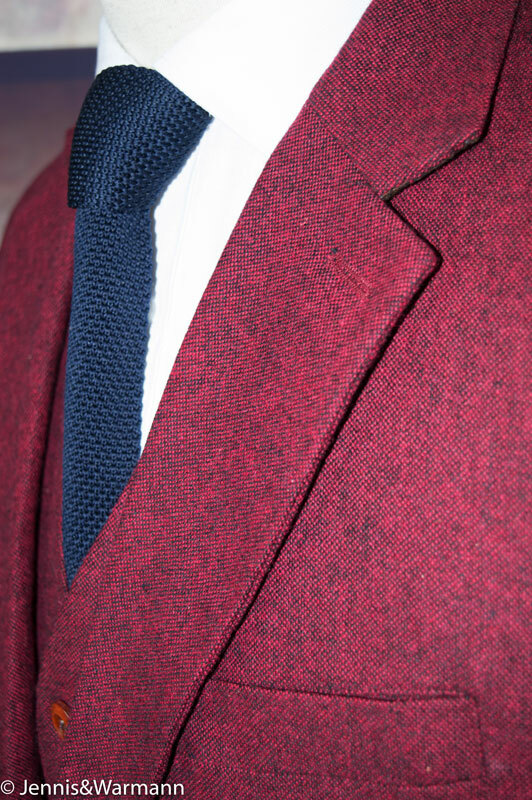 Combine the jacket with a navy trousers for an exclusive look. 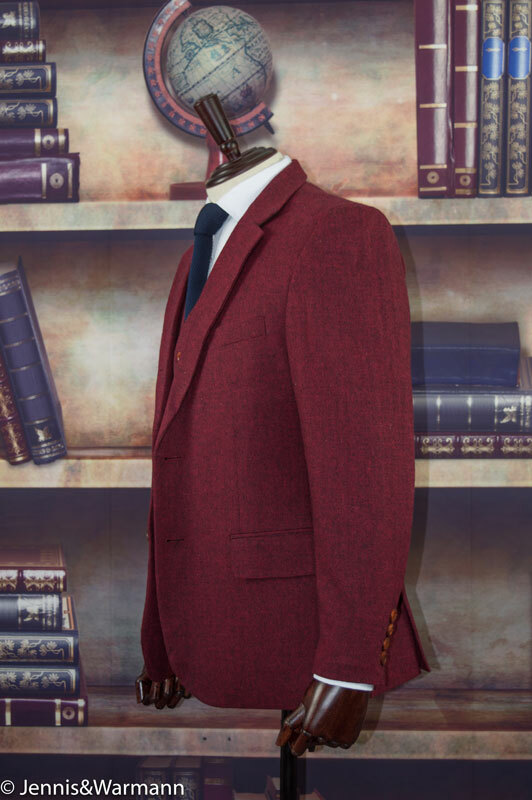 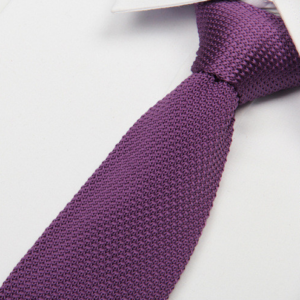 Our suits are a fitted, single-breasted style with a two button fastening. 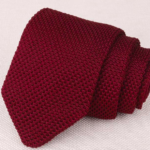 Red base in a traditional barleycorn weave pattern.